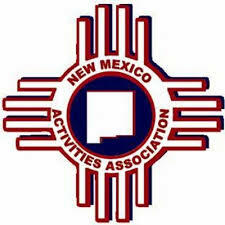 One week following perhaps the strangest and most chaotic ending to a high-school football game fans in New Mexico – and beyond – have ever witnessed, the New Mexico Activities Association (NMAA) has completed its review. Their findings in a nutshell? • Goddard was indeed offsides again on their sixth attempt to swipe the ball away from Artesia’s center. • The Rockets’ repeated attempts to pull off a play that, if executed legally, would be nothing short of a miracle were technically legal according to National Federation of State High School Associations (NFHS) rules – for now. The Oct. 28 bout between District 4-AAAAA rivals Artesia and Goddard at Wool Bowl in Roswell had been tense enough for 47-and-a-half minutes, a see-saw battle befitting the district title implications that hung in the balance. But the final 30 seconds made them feel like a stroll in the park. With the ‘Dogs, up 35-34, having just pulled off what appeared to be the game-ending play when cornerback Chandler Youtsey intercepted a Rocket pass in Artesia territory, the boys in orange aligned in the victory formation to run out the clock. But before Bulldog center Jarod Acosta began the snap, Goddard defensive tackle Misael Zaragoza shot his hand into the neutral zone and began slapping at the ball. An offsides penalty was called, kicking off a comedy of errors as the Rockets repeated the action five consecutive times, each time marching the Bulldogs five yards down the field while allowing only a second or two to tick off the clock. By the sixth attempt, nothing had changed – other than the fact the officials failed to make the encroachment call. They instead awarded the ball to Goddard at the Artesia 30-yard line, setting up a continued wild finish that ultimately ended in a 21-yard field goal by the Rockets and a 37-35 win. Most familiar with the rules of football – and Artesia fans who weren’t became experts rather quickly following the contest – were aware that it is technically legal for the defense to attempt to jump the snap. The word “technically,” however is key. The action would only be legal provided the defender had not entered the neutral zone prior to the center beginning the snapping motion and had not touched the ball prior to said motion. The NMAA agrees. And in a statement issued this morning to the Daily Press by Media Relations Director Dusty Young, New Mexico’s governing body therefore plans to petition the NFHS to have the rule changed. “The NMAA has reviewed this incident quite extensively over the last week and has been in communication with the Artesia High School administration throughout the process,” the statement reads. “After speaking with the National Federation of State High School Associations, it was confirmed that NFHS Rules do allow for a defensive player to ‘swipe’ at the ball after the snap has begun. That action is ultimately being taken to protect the integrity of the game going forward. In the case of the Artesia-Goddard game specifically, there was still the matter of the fact Artesia’s center had not yet begun the act of snapping the ball, something the NMAA had carefully reviewed by outside evaluators. The NMAA also had not just the final 30 seconds but the full game reviewed in order to better examine the officiating crew’s overall performance. The NMAA’s findings will no doubt put the minds of Artesia fans at ease, and the thorough examination and explanation of the events of the final 30 seconds of the game were all the athletic department was seeking. Athletic Director Cooper Henderson and head coach Rex Henderson both made clear that having the outcome of the game reversed was never their intention, as was implied by some. What they and many other coaches in the state wanted to know was: Is this something that’s going to become rampant in the final seconds of football games? “I’ve been pleased with the way the NMAA has handled this process of review,” Cooper Henderson said.